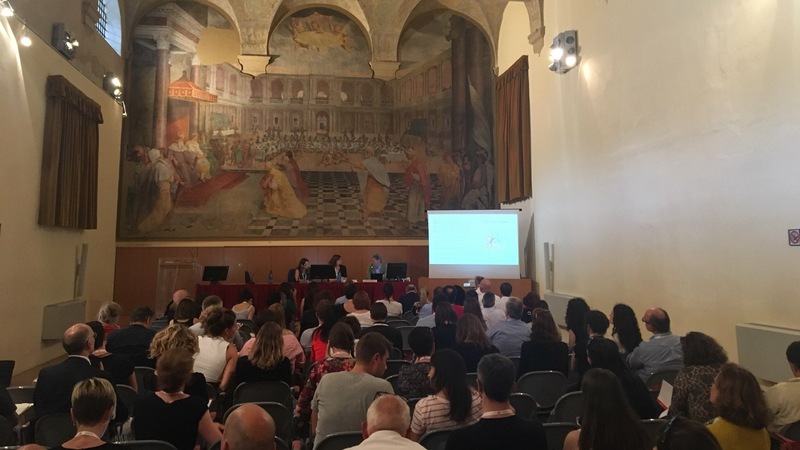 On 6 June 2018, Pamela Lama (City of Bologna) and Prof. Giovanni Leoni (University of Bologna) gave a keynote at the kick-off conference of the RURITAGE project in Bologna. They shared the insights that ROCK has developed during its first year, providing an overview of the numerous implementation actions now taking place - from living labs to technological tools. RURITAGE is a new EU-funded project (under the Horizon 2020 scheme) and, in fact, is from the same call as ROCK. Whereas ROCK focuses on cultural heritage-led regeneration in urban areas, RURITAGE explores this topic in relation to rural areas. The project is coordinated by the University of Bologna and includes 39 partners. The conference, Cultural heritage as a driver for rural sustainable growth, also featured keynotes from Dr. Christophe Coudun from the European Commission, Prof. Pier Luigi Sacco from IULM, and Prof. Christer Gustafsson from Uppsala Universtiy, who is also involved in the Horizon 2020 project CLIC that focuses on developing business, financing and governance models for the adaptive reuse of cultural heritage.